Usability and Innovation: Friends or Foes? I’ve worked as both a designer and researcher on UX project teams, and I’ve noticed that when there’s no researcher sitting at the table, research is often constrained or, even worse, cut entirely from the design process. This is most often due to budget-related concerns, but there are also questions of whether usability even has a place early on in the design process—especially when a new product is meant to be novel and innovative. Designers and product managers might view usability as a stodgy innovation-killer, or something you add on at the end. On the flip side, usability practitioners tend to view innovation as making something different for the sake of being different or as a lot of effort wasted fixing things that were never broken. All of this raises some questions: Are usability and innovation inherently at odds? 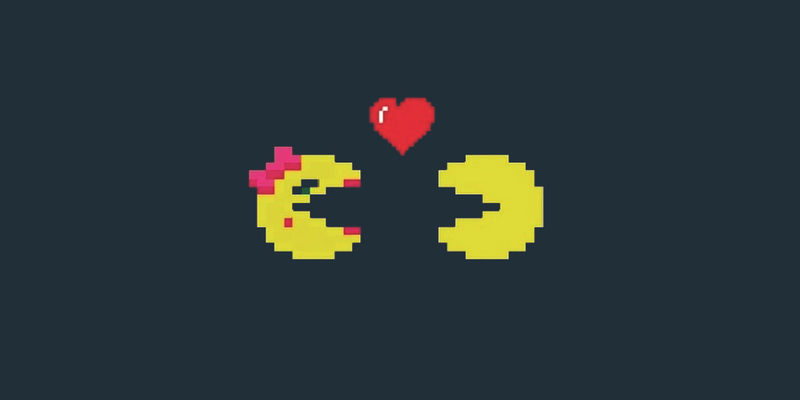 Are they forever foes? 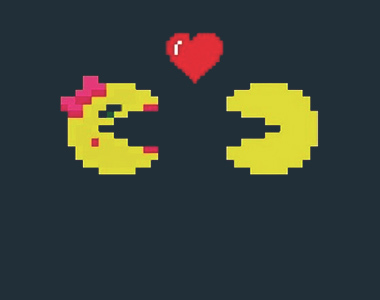 Can they be friends? My answer is a resounding, probably! Netflix, Amazon, and Apple have figured out how to marry the two. Whatever we say about usability and innovation, we can be sure they’re not mutually exclusive. Huge companies have become successful in large part because of their ability to marry the two. Look at Netflix, Amazon, and Apple. But those are the exceptions. What’s everyone else to do? I believe there are ways to resolve the tension. Even some major advocates for design research have warned against misapplying usability. A lot of readers might be familiar with Bill Buxton, Principal Researcher at Microsoft and author of a couple of great books about UX and sketching user experiences. Buxton wrote a paper a few years back called “Usability Evaluation Considered Harmful (Some of the Time).” In it he cites three reasons why “traditional usability evaluation should not be used to validate very early design stages or culturally sensitive systems.” Here are those three reasons, and my suggestions for how we might obstruct them. Reason #1: Buxton warns that usability will make you throw out ideas too early. He points out that testing in the formative stages of the design process could introduce noise that might lead you to abandon potentially great ideas. And time spent testing could be better spent continuing to design and develop early-stage concepts. 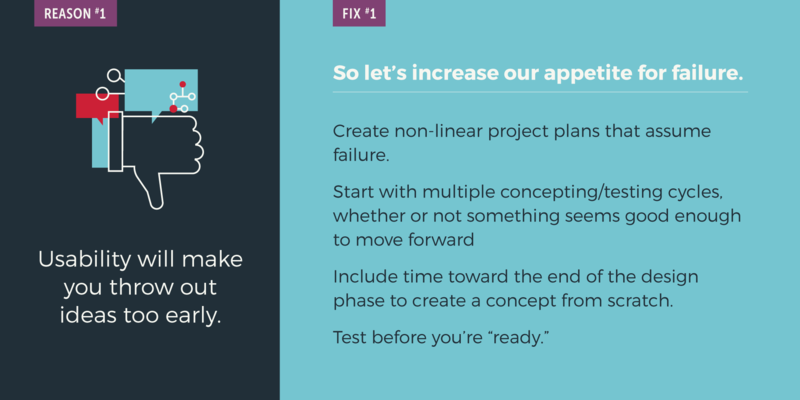 Fix #1: Let’s increase our appetite for failure and plan for it. One tactic is to work some circles into your rectilinear project plan to account for concept and testing cycles throughout the process. Below on the left is a typical linear project plan. But the way we think about design is actually a lot more like the graphic on the right – a cyclical process with no clear ending. A cycle of ideation, implementation, and testing. Work some of those circles into your linear project plan. Obviously we can’t plan projects to last indefinitely, but we can set ourselves up for projects in a way that plans for activities that will keep us generating ideas later on – because as you proceed into the later phases, you’re going to learn more about the problem. The problem-solution paradox is a useful way to reframe the coexistence of usability and innovation in the early stages of the design process. (Thomas Wendt recently published a book that delves a lot deeper into this paradox—the whole book is definitely worth a read.) But to sum it up, if you’re trying to design a solution to a problem, you’re going to need to understand the problem; and the converse is also true. You can’t understand the problem until you start designing the solution and seeing where possible solutions might go wrong. Overcoming this paradox requires testing early and often – and being careful about the conclusions you draw. Reason #2: Buxton’s next reason to exclude usability from the early design process is usability’s focus on finding what’s wrong. The earlier parts of the design process are for assessing what’s right, what’s working, and what to continue to flesh out. The focus should not be on looking for what’s wrong. 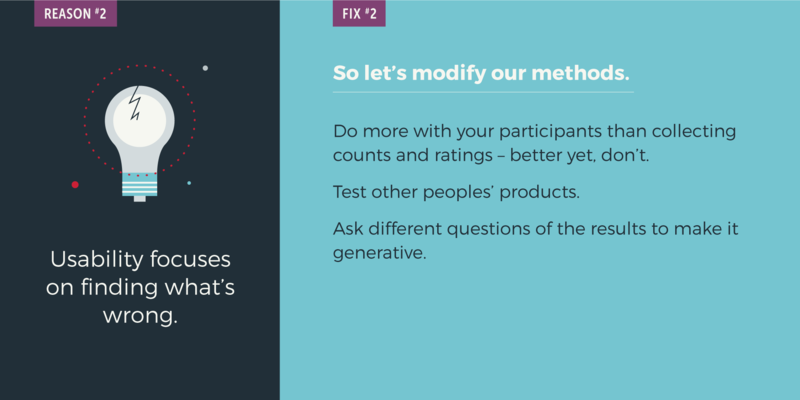 Fix #2: Let’s modify our methods. If you’re doing a usability study on an early-stage design, make tests more open-ended and qualitative. Ask generative questions of the results. Another tactic is to evaluate other people’s stuff before you design anything at all. 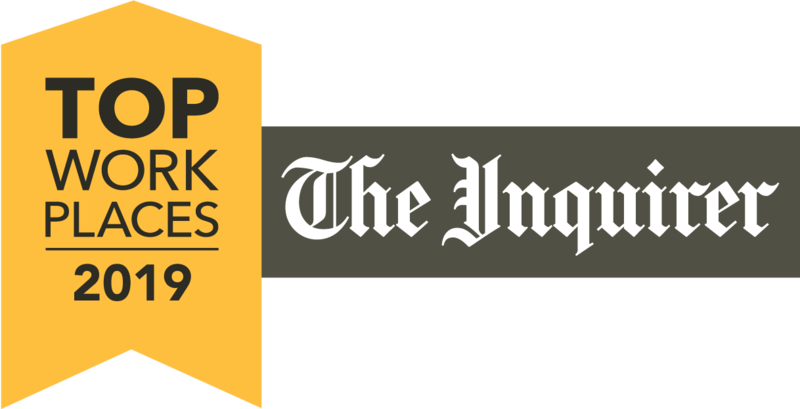 I once worked on a large project to design a new health insurance marketplace. A big insurance company and a big healthcare provider wanted to collaborate to create a new system that would bring everything together under one url –shopping for insurance, signing up for it, looking at your plan, managing your healthcare, talking to a personal health assistant, etc. When we got started, we wanted to learn more about how people were doing these things, but nothing like this really existed at the time. Even if it had, it would’ve been difficult to test. So we tested three different products that each had slices of the functionality we were interested in designing. After collecting these insights, we were able to begin the design process with a lot of fresh ideas about how to create something brand new that also avoided common issues with these kinds of products. 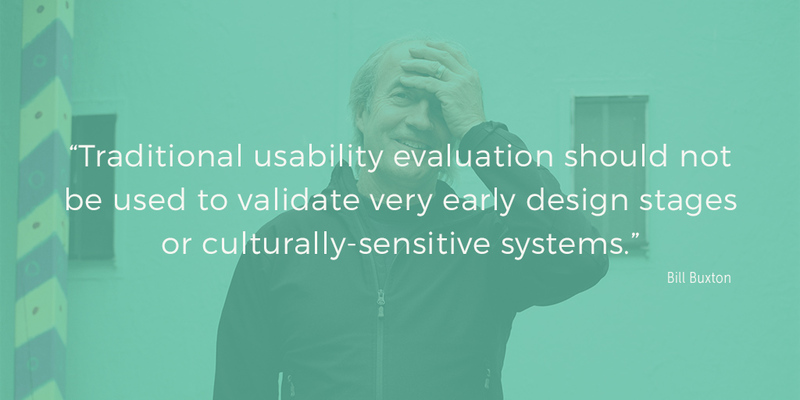 Reason #3: Buxton points out that usability evaluation can prioritize usability over usefulness. Is the product useful? Does it provide a solution to an unsolved problem? Just because it’s usable doesn’t mean it has any use or that anyone wants to use it. At the early stages when you’re trying to be innovative, usefulness is the bigger concern. Fix #3: Let’s not work in silos. Involve as many disciplines as possible at all stages, because things that matter will get deprioritized if the people who care about them are not sitting at the table. A colleague might think usability testing is a box you check at the end of the project, but that doesn’t mean research and usability practitioners can’t add value throughout the process. Engage with user researchers early on, even when ideas seem too wild to test. This is especially important to remember when you start prototyping (which, ideally, happens early). Researchers are really good at preventing prototyping pitfalls. 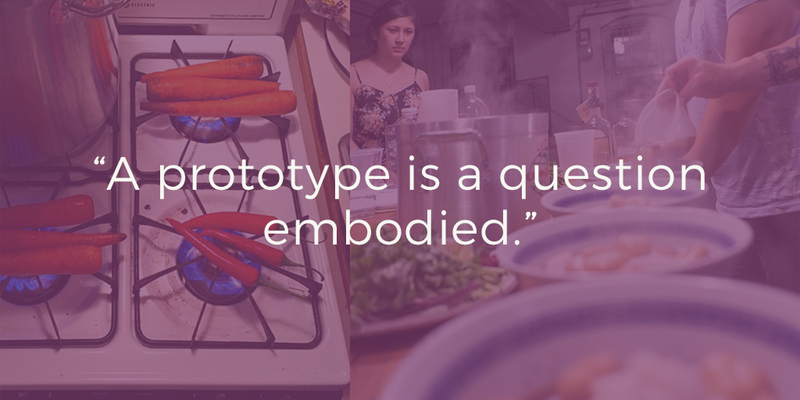 I recently came across something inspiring – a zine by IDEO whose central theme is, “A prototype is a question embodied.” Anything – even an idea for a restaurant – can be prototyped. But designers too often create prototypes without a clear idea of what they’re trying to learn. Researchers can help generate the clear research questions that lead to equally clear decisions about how to make the prototype and when to stop asking questions. Having these goals in mind equips you to learn what you set out to learn. Buxton’s obstacles are real, but instead of throwing up our hands, I propose we try new things. By being more flexible and creative, we can help usability and innovation play better together. 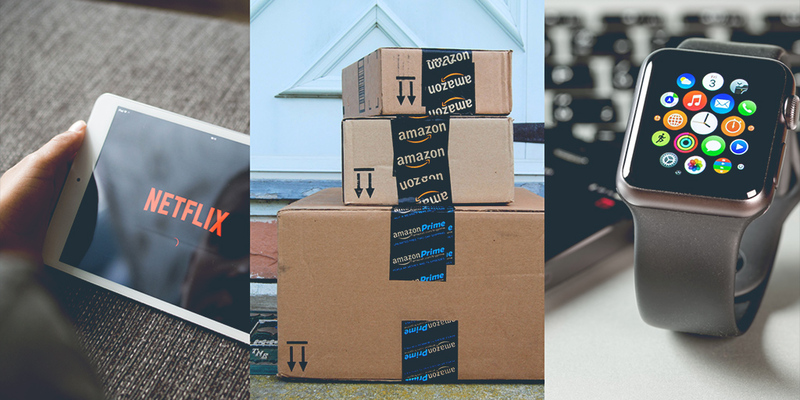 Remember Netflix, Amazon, and Apple? Those are some pretty hefty rewards.